Fed up of being harassed over dowry demands, the family members of a girl in Lucknow tonsured the groom, his father and the brother on Sunday. The police had to step in to control the protests in Kurramnagar area of the city. The bride's family has filed a police complaint after the incident. The groom's family had been increasing their demands every day for the last one week, said the bride's father, who is a vegetable vendor. "They made these demands five days before the wedding. He refused to marry the girl after we said we can't meet his demands. 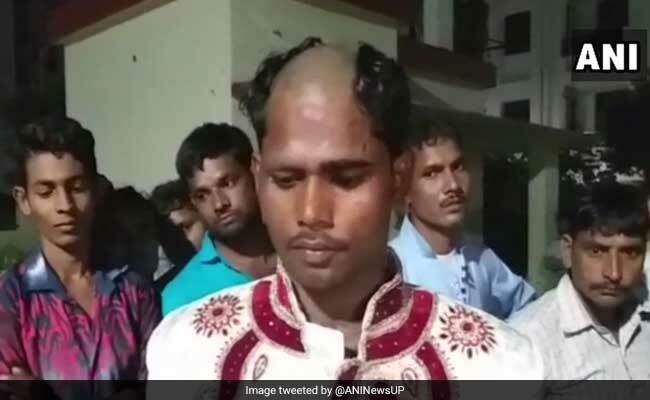 Don't know who tonsured his head," the bride's grandmother told news agency ANI. The groom demanded a motorcycle as dowry. But when he was given one, he apparently did not like the particular brand and wanted something else say local media reports. The bride's father apparently agreed to give him the motorcycle of his choice but when he demanded a gold necklace on the wedding day, hell broke lose. The groom and his father and brother were rounded up and taken to a park nearby and tonsured, said the neighbours. The three were later handed over to the police. The members of the bride's family told news agency ANI that the groom and his relatives were drunk and had misbehaved with them.